The first NCAA tournament appearance for Oregon Women’s Basketball was in 1982. Their first trip out of the first round wasn’t until 1987. The Ducks have made it to the round of 32 only eight times in the history of the team, with three of those occurrences coming in the last three seasons. Compare that to the nine times that the Baylor Women’s basketball team has made it to the Elite Eight, a full two rounds further that the round of 32, and you start to see the contrast in history between the two schools. 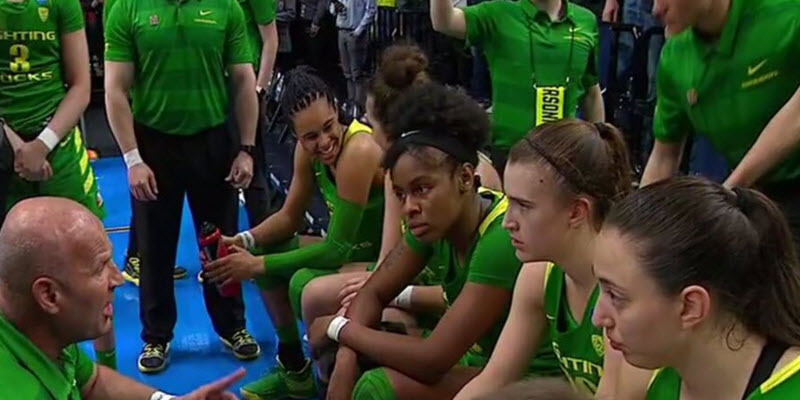 Perhaps the Lady Bears have a blueprint that Oregon can follow, given that all nine of those Elite Eight appearances have come under current coach Kim Mulkey. The similarities are striking when it comes down to it, with all three of Oregon’s appearances coming under current coach Kelly Graves. 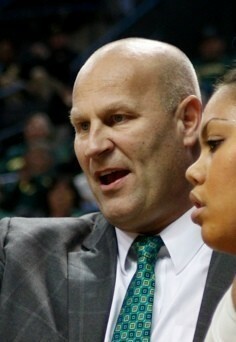 Is Graves going to build a powerhouse at Oregon similar to the one Mulkey has constructed at Baylor? When Graves took over as the Ducks head coach in 2014, they had not made the NCAA tournament since 2005. The 2014-2015 team lost 17 times over the course of the season, failing to so much as sniff an NCAA Tournament bid. The following season, however, Graves had his system in place. 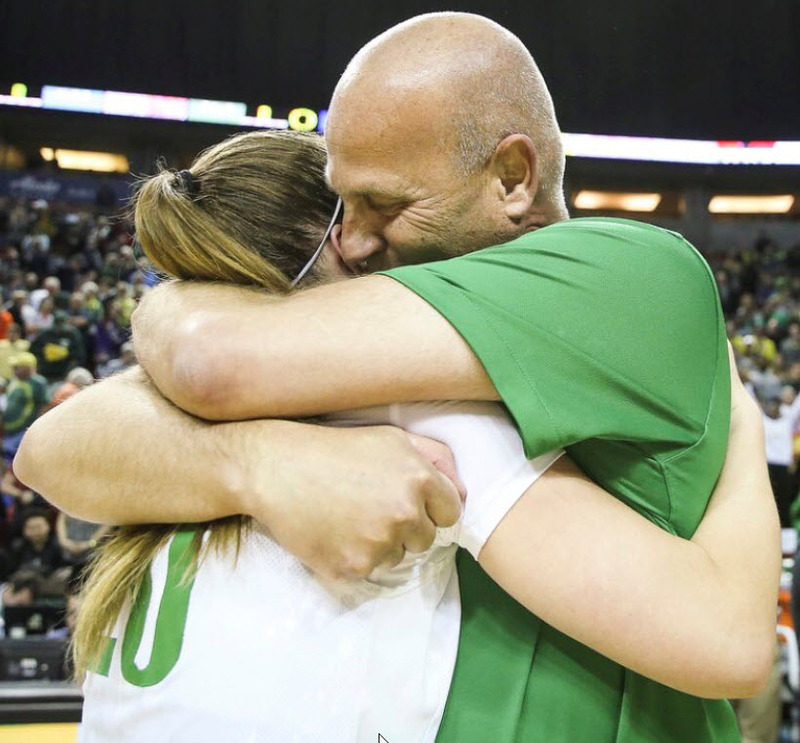 The Ducks went 24-11, missing the NCAA tournament, but getting to the semifinals of the WNIT. The 2016-2017 season is where the team really took flight, not only breaking their decade-plus-long NCAA tournament drought, but getting all the way to their first ever Elite Eight, following their first ever Sweet Sixteen. The Ducks would go on to lose to UConn in ugly fashion in the Elite Eight game. Despite this blemish on an otherwise impressive campaign, it was clear that Graves’ system was yielding results. Last season ended with the same result, an Elite Eight bid and a loss. That time around they lost to Notre Dame, but in a far closer game than the year before. This year, the Ducks have escaped the Elite Eight; this Friday, they will play in their first ever Final Four. It looks like Graves is the real deal at head coach. Clearly, the Ducks are experiencing the most dominant stretch of play in team history. It doesn’t seem like a question of whether the Ducks will win a championship under Graves, rather, it seems more like a when and a how many. Championship or not, this group of Ducks has already successfully made school history, and has claimed some NCAA records along the way. Prior to the 2017-2018 season, the Ducks had failed to win the conference tournament every year since 1984. Graves and his young group of players finally broke that drought, giving the team their first major hardware in 34 years. The Ducks had never made it to the Round of 32 three years in a row until this season. As stated above, the Ducks had also never made it to either the Sweet Sixteen or the Elite Eight prior to the 2016-2017 season, and they have now done so three consecutive times. And now, for the first time, the Final Four awaits, another mountain to climb for the most talented group of players in program history. Speaking of talent, Sabrina Ionescu is arguably the best basketball player in the country, with two consecutive conference player of the year awards to go with her record for the most triple doubles in NCAA history. Graves has brought in the talent to match his coaching ability, leading to dominance in a conference once controlled by Stanford. With the Ducks arriving to their first ever Final Four, with a talented team containing a healthy mix of young up-and-comers and veteran contributors, this feels like a team that can win it all in 2019. Looking forward, Coach Graves looks poised to have the program set to contend with the blue-bloods year in and year out. Mark 2019 down in your books as the year that the Duck Dynasty really took off.